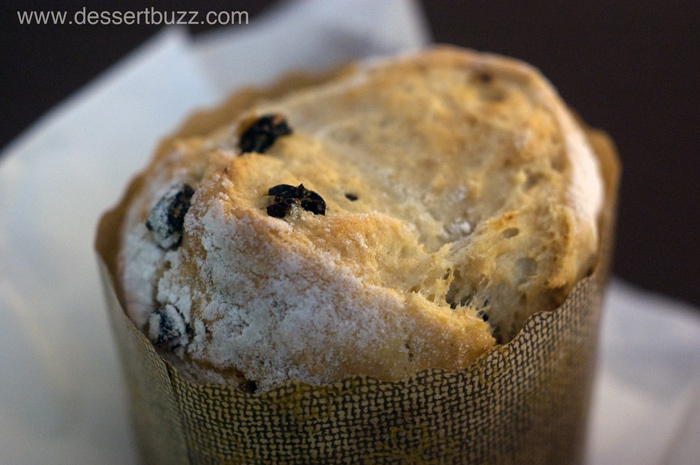 St Patrick’s day is long past but I had a really nice Irish soda bread from Bouchon in the Time Warner Center 2 weeks ago and felt it was worth a mention (I doubt it’s even still available). The single serving bread was served like a muffin wrapped in wax paper. The bread had a nice aroma and was not sweet as an Irish soda bread should be. Read the interesting history of Irish Soda bread here. I’m going to keep on visiting Dominique Ansel Bakery until Mr. Ansel stops adding new items! The latest thing I tried was the blackberry financier with brown butter–very moist and buttery tasting. 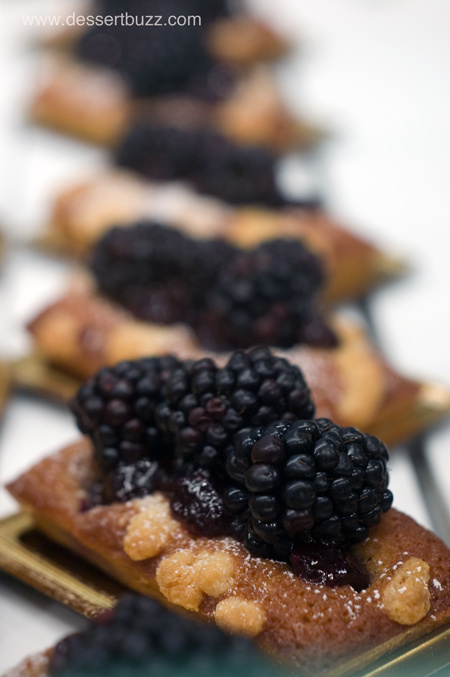 This “simple” financier stacked with plump blackberries is almost as much of a treat as one of the specialty pastrie $3.75. With all the hype for French macarons in this city it’s easy to forget about American style coconut macaroons–and Petrossian has a damn good one. It’s much lighter than the macarooons in a can you find during the Jewish holidays. This is really more like specialty candy or tiny pastry than a coconut cookie. 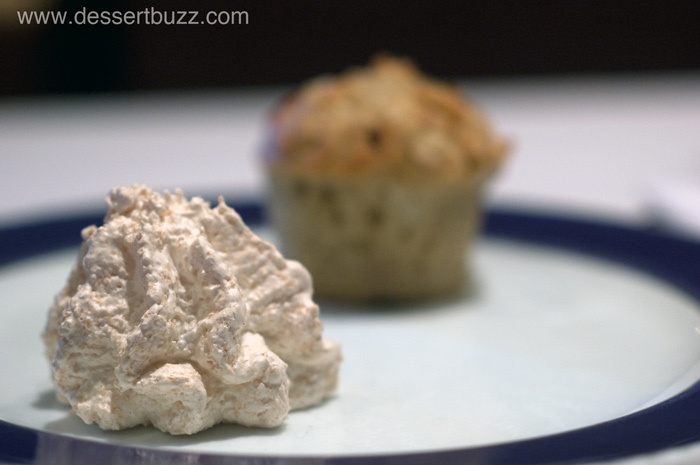 If the macaroon is too much coconut for you, grab the coconut and banana mini-muffin. Bouchon Bakery has multiple locations in NYC. The location I visited was in the Time Warner Center (3rd Floor). Dominique Ansel Bakery is located on 189 Spring Street. Their website is here. More coverage on DessertBuzz. Petrossian in located at 911 7th Ave. Their website is here. I really need to take advantage of Ansel’s WiFi, backyard, and pastries. Good idea. There’s always something new there too– like the choco roll thingy– with a cavity of chocolate inside. Haven’t had it yet. Let me know when you want to head there.